Azienda Ospedaliero Universitaria Careggi is the major hospital of Florence (Italy) and also a teaching hospital. 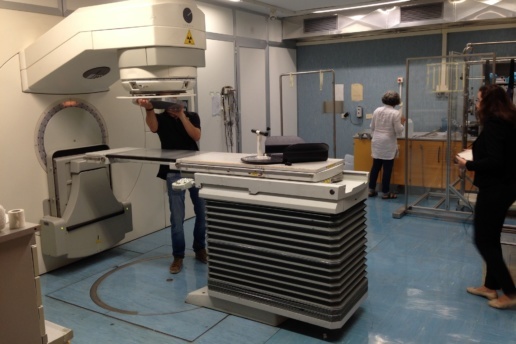 The Radiotherapy department team consists of 17 radiotherapists and 7 medical physicists. 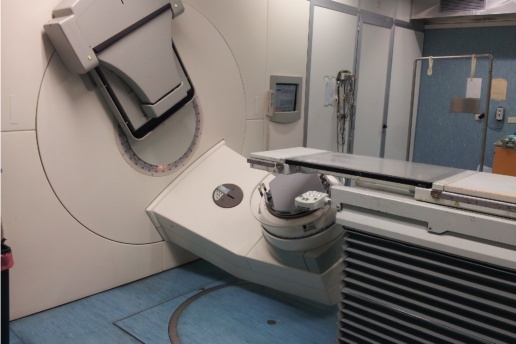 The Radiotherapy department treats over 2000 patients per year with external beams, using different techniques like Image Guided Radiotherapy (IGRT), 3D Conformal Radiotherapy, Intensity modulated Radiotherapy (IMRT), Volumetric Arc Therapy (VMAT) Stereotactic Radiosurgery / Radiotherapy (SRS/T), Adaptive Radiotherapy, and respiratory gated treatments (Active Breathing Control). Careggi Hospital also performs Total Body Irradiation (TBI), Total Skin Irradiation, Radiotherapy treatments for solid or hematoligic tumors in pediatric patients both with and without sedation. It delivers Curietherapy treatments with Brachytherapy, I-131 metabolic treatments, radioimmunotherapy, and endocavitary Radiotherapy. 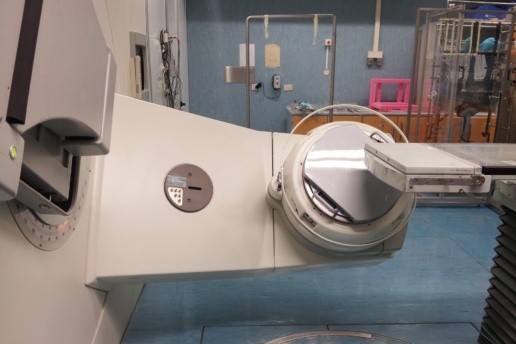 The Radiotherapy department at Careggi Hospital performs health care services and consultancy for other hospitals in the area, as well as research and educational work. This multi-center study by Livia Marazzo, published in the German Journal of Radiation Therapy and Oncology tests the sensitivity of the Integral Quality Monitor (IQM) transmission detector for online dose monitoring of IMRT treatment techniques to detect small delivery errors. The article furthermore investigated the correlation between changes in the IQM signal, induced by small delivery errors, with other metrics like Gamma passing rate and dose-volume histogram metrics. Download this article to learn about the high sensitivity of the IQM transmission detector for small delivery errors as well as the good correlation between the IQM detector signal and DVH metrics. This article discusses the influence of the Integral Quality Monitor (IQM) transmission detector on photon beam properties. The authors evaluated data acquired at nine different Radiation Therapy centers and concluded that the magnitudes of changes observed justify treating IQM either as energy-specific tray factors in the treatment planning system or alternatively as a set of modified output factors for each linac energy. Download this article for some valuable guidance for implementing the IQM System into your clinical routine. 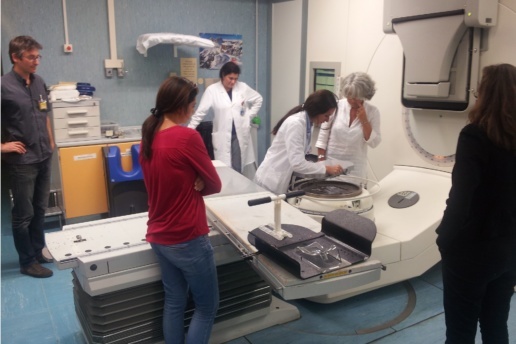 Cinzia Talamonti and her colleagues from the University of Florence, Italy verified the delivery of the prescribed dose during radiotherapy treatment using the IQM in combination with portal imaging, together with the software SoftDiso (Best Medical Italy Srl) for in-vivo measurements. They evaluated the ability of detecting positional and delivery errors intentionally introduced during breast treatments. Download the full poster that was shown during the AIFM Conference in Perugia, Italy in February 2016. 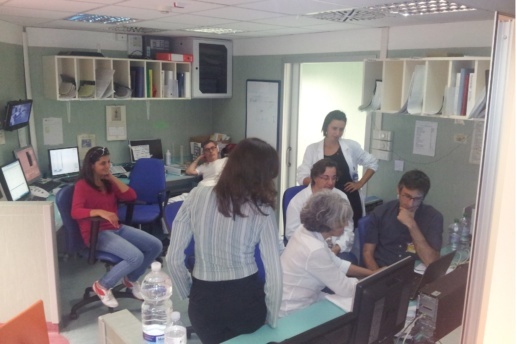 Chiara Arilli, Cinzia Talamonti, Livia Marrazzo and their colleagues from the AOU Careggi, Florence, Italy evaluated the output signal reproducibility and sensitivity in detecting small errors in delivery parameters of step and shoot IMRT treatments with the IQM System. The team also assessed the correlation between IQM signal variations and 3Dγ, 2Dγ and DVH parameters. Download the full poster that was shown during the AIFM Conference in Perugia, Italy in February 2016. Livia Marrazzo and her colleagues at the AOU Careggi in Florence evaluated the correlation between changes in the detector output signal induced by small delivery errors with other metrics, such as the Gamma pass rate and DVH variations. They concluded that IQM is capable of detecting small delivery errors and that it exhibits a good correlation with other metrics currently used to determine the quality of a treatment plan. Download the full presentation that was shown during the ESTRO35 Conference in Turin, Italy in May 2016.